I don't really understand how it happened and yet it happens all the time, all over the world. Everyone has or will experience the death of a loved one and yet I was completely unprepared. I had no idea of the process of dying what is considered a natural death. When he was hospitalized this last time in March 2008, I think we all believed that he would not stay long in the hospital and we did our best to police him to make certain that he behaved, obeyed the doctors and nurses so that he would hurry home. They had him strapped to all sorts of IV's and tubes and monitors and he was quite groggy from drugs and we were told also from “hospital psychosis”. He wanted to leave and, as he did when he had Sepsis, two years earlier, he pursued this goal relentlessly, pulling off the blankets, sliding his legs off the bed and reprimanding us for not helping him get out. We dealt with this with good humor, mostly joking and gently but firmly realigning him in what was to be his deathbed. Had I known the nature of this bed I would have taken him home. I would have wanted to let him get up out of his hospital gown and set him free. In retrospect this makes my heart ache. He eventually slipped out of our grasp and away from what we knew to be communication with him. We stayed with him and sang and read to him and talked around and about him and danced and valiantly tried in our crippled and inept way to rally him against all odds. We didn't understand and I think in many ways we failed him by holding him in that bed and not hearing that he wanted to go home. For this I feel enormous pain. When they started the morphine we didn't know morphine meant that we were letting him go. They told us as much but somehow didn't hit us over the head with it, because that is what it would have taken to make us understand. When he did finally just stop living, stop holding on, let go, stop struggling to breathe and think and love and put up with the nonsense of dying, there was no denying in those instants what was happening. Still it was not real for us. We didn't cry or rail against the gods. The dying had been so gradual that when it finally came this difference between life and death was just the most minute step – as though he was just passing through a portal. He opened his eyes a bit and breathed strangely and then just quietly slowly stopped and we huddled around him trying to make sense of the fact that we had just lost our anchor, our father, Mom's husband, our inspiration, our patriarch, our mentor, our one true example of a loving, responsible man. A pipsqueak of a guy who regardless of his physical stature could always be counted on to step up to the plate and hit out of the park. My Father had deteriorated somewhat since his battle with Sepsis. He was diagnosed with Alzeimers yet he remained lucid and remarkably insightful but there were moments when all of a sudden, in the middle of a conversation, you could see that he became lost in his own mind. He had times that frightened us, mostly behind the wheel when he seemed to have no more capacity to navigate than Mr. Magoo. He had lost ability and interest in nonstop fixing and reading and gardening and working. He napped, he read the paper, and he was happy. He had not become one of those old people who complained that he wanted to die. He could not have been happier to have cheated death by sepsis and yet he was keenly aware that death was waiting for him and he seemed so wistful to be leaving us soon. He did not want to go. He had had a wonderful life and did not want it to end – on that he was clear. We all adored him. He was not perfect. We disagreed dramatically on politics. He had some ugly views. He was not well versed in letters and his taste in clothing was sometimes eccentric. He had especially in his younger days, a volatile temper, of which I was, singularly, not afraid. I knew that he exploded and then he felt better and everything was fine and that he adored me. He did not hold grudges. I didn't know until his last years that he was a pacifist. He did not speak out against the Viet Nam war even though his eldest, beautiful and brilliant son joined America's other beautiful brilliant boys in Hue as cannon fodder in 1968. This was a gentle man, partly out of necessity. He was only 5'6” in a family of other short boys. He didn't have a taller stronger brother to back him up in a fight and his father was also a gentle man. These were men of good humor, sweet smiles full of mischief and intelligence and humility. These things we see in our parents seem so mundane, so ordinary. Gentleness, good humor, intelligence and mischief are not ordinary but because I was surrounded by them, I took these rare and wonderful gifts for granted and found them boring. I assumed that everyone was like that and sought out edginess and danger. With any luck my children will find me similarly mundane. Thomas McGavin; Obstetrician Helped Start Free Clinic in Va.
took part in many civic activities. Thomas "Tom" A. McGavin, who practiced obstetrics and gynecology for more than four decades in Arlington County and who helped found the Arlington Free Clinic, died of heart and pulmonary complications April 2 at Virginia Hospital Center in Arlington. He was 88. 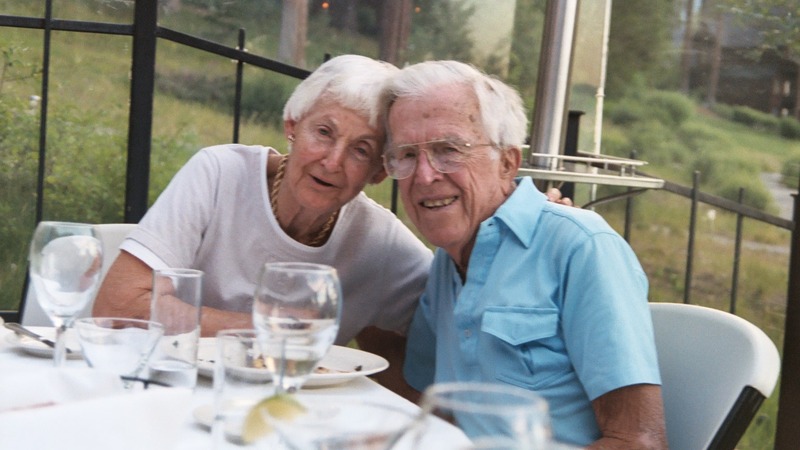 Dr. McGavin, who began his practice in 1950, operated Northern Virginia Physicians to Women, and he practiced obstetrics and gynecology at Arlington Hospital for 43 years. He provided care for three generations of Arlington families and recognized the specialness of each birth. "In delivering a baby, you're involved with a woman in one of the most important things to ever happen to her," he said in an article in the Northern Virginia Sun just before retiring in 1993. "It's a very special kind of relationship you develop with a woman. You are sharing a very special time and it has to be very important to you." Dr. McGavin, described as a humble man and a strong advocate for women, was honored by Arlington Hospital when he retired. He served as chairman of the hospital's OB-GYN department and was a member of its executive committee. Instead of resting after his long years of service, Dr. McGavin joined other doctors in starting the Arlington Free Clinic, which provides medical care at no cost to low-income persons. Donating his services was not new to him, said a daughter, Deborah McCune of McLean. In his practice, she said, he often treated patients who could not pay. During his career, Dr. McGavin had an office in Annandale and surgical privileges at Northern Virginia Doctors Hospital and Fairfax Hospital. He was one of the founders and a past president of the corporation that owns the Medical-Dental Building on Fairfax Drive, which grew to two medical office buildings. Dr. McGavin, who also was a leader on civic, medical and church boards, was born in Reading, Pa. He graduated from Albright College in 1941 and completed medical school at Temple University in 1944. He served in the military medical corps from 1945 to 1947. After finishing his residency at the old Doctors Hospital in Washington, he opened a practice in Arlington. Dr. McGavin served on the Arlington board of the Salvation Army and the boards of the Hermitage, Arlington Hospital and the American Cancer Society. 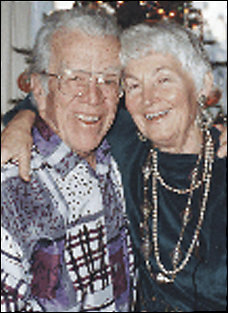 He also was a past president of the Arlington Kiwanis and a supporter of the sister organization, Arlington Ki-Wives. At Walker Chapel United Methodist Church, where he was a longtime member and lay leader, he was chairman of the board and the building committee. He served as president of the Arlington County Medical Society and was a member of the American Medical Association. He loved golf and belonged to Washington Golf and Country Club in Arlington and Rehoboth Beach Country Club in Delaware. His other hobbies included tennis, boating and fishing. He was a former single-engine pilot. Dr. McGavin, a consummate handyman, built furniture and often found creative ways to "fix" things around the house, his daughter said. He was happiest at family celebrations, McCune said, and often reminded family and friends that he had "had a wonderful life." Survivors, in addition to his daughter, include his wife of 63 years, Jane Louise McGavin of Arlington; six other children, Lynda L. Moses of Arlington, Thomas A. McGavin Jr. of New York, Lee H. McGavin of Midland, Tex., Jean P. McGavin of Bethlehem, Conn., John D. McGavin of Great Falls and Jim E McGavin of Leesburg; a brother; 16 grandchildren; and 13 great-grandchildren.